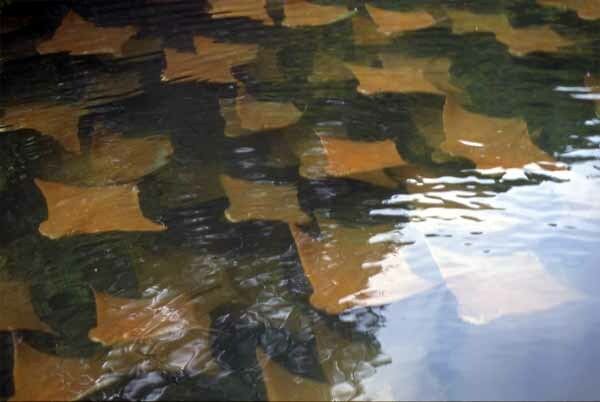 The golden ray (Rhinoptera steindachneri) gathers in large numbers to cruise the reef or as in this case serenely glide on their inscrutable purpose. This group of 100 so were in the shallows of Black Turtle Cove, Santa Cruz Island (see also the reef shark picture). In the open ocean they are sometimes associate with the spotted eagle ray (Aetobatus narinari).